The Bank location became the Stratoliner Lounge. The small movie theater, at the right, was the Windsor Park Theater. It later became the Ray Theater, then the Ray Ballroom. I grew up in this area and there is no sign of such beautiful architect. 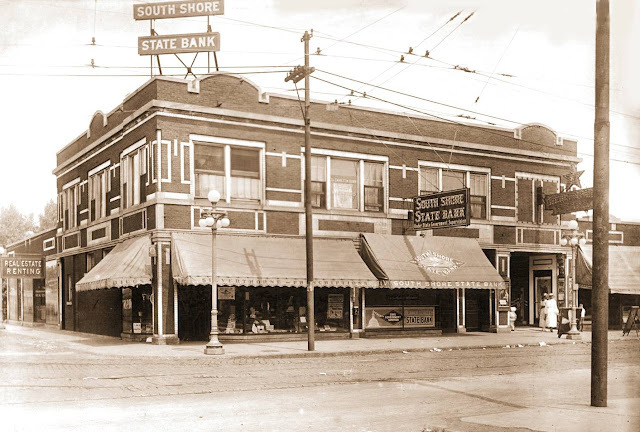 South Shore Bank is now at 71st and Jeffrey.